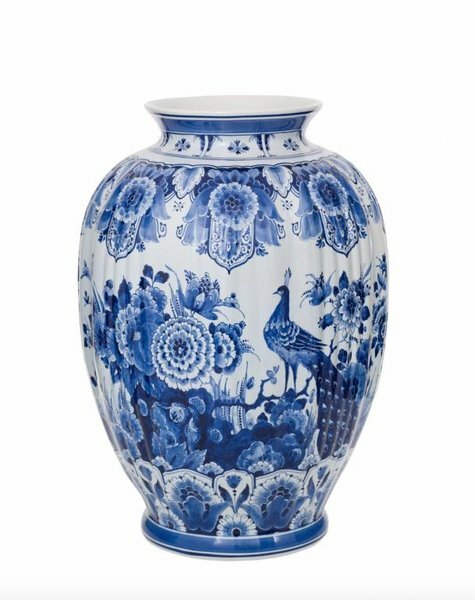 Large vase in delft blue. These delft blue vases are 47.5 cm high. Tall decoration vase with peacock and playful floral patterns. 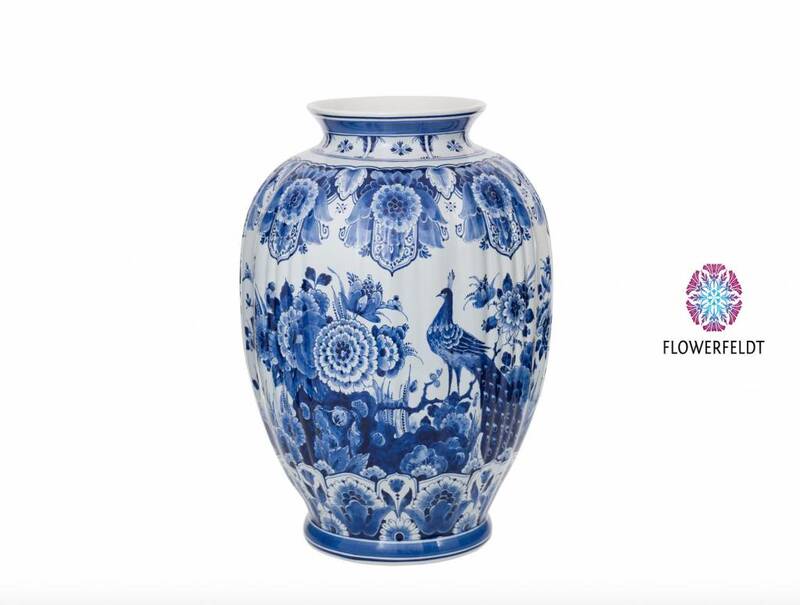 Exclusive vase in delftblue. Hand painted and made from the finest porcelain. You definitely recognize the hand of the master painter!